Over the 20th century, the Christian and Muslim population in Malawi skyrocketed from twenty percent of the population (Thorold 1995) to ninety-eight percent today. Recently, reformist Islam--sukuti--and reformist Christian--Pentecostal--movements have taken central roles in the lives of individuals and in society. Existing research shows that both types of congregations empower their members to succeed in the modern economy and that Pentecostal churches often provide basic welfare services to their members (Trinitapoli & Weinreb 2012). A team of Malawian interviewers, Professor Swidler, and I conducted an interview-based study in two sukuti mosques and two Pentecostal churches located in two adjacent district capitals in Southern Malawi. We sought to understand congregants relationships to their faith and to develop a more comprehensive picture of the programs and material support provided by each type of congregation. Our field work revealed organized systems and random instances of emotional, social, and material support within the institutions. The churches in particular provided members with spiritual support and social connections, while the mosques provided members with comprehensive educational resources and moral discipline. Laura Goy is a third-year undergraduate student who studies Public Health at the University of California, Berkeley. Her summer as an HIV/HCV policy intern at the AIDS Institute in Washington D.C. opened her eyes to the shortcomings of the American healthcare system and gave her a passion to serve the people who fall through its gaps. She hopes to become a physician in the future so that she can provide high-quality care to people who would have trouble accessing it otherwise. 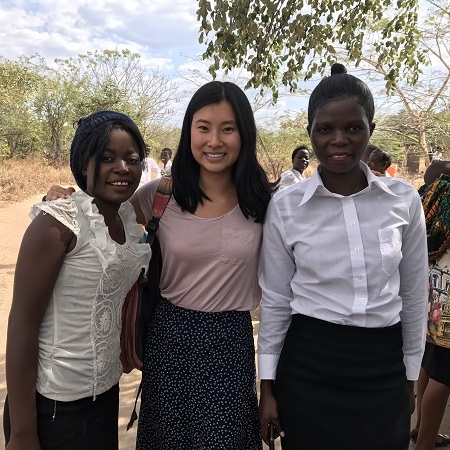 Since last semester, she has had the privilege of working with Sociology Professor Ann Swidler to explore the dynamic system of social services provided by Malawian religious institutions to their congregants. Over the next few months, she will be writing a research paper using the data collected on her recent trip to Malawi.